Katrina Robertson Reed is a retired administrator having spent 33 years in public education. During her 33 year career, Katrina Reed has held positions in the St. Paul Public Schools in St. Paul, Minnesota as a teacher, Assistant to the Superintendent for Urban Affairs and Assistant Director of Personnel; Director of Personnel in the Robbinsdale Area Public Schools, Robbinsdale, Minnesota, Director of Personnel for the Minnesota Community College System, directing the personnel function for the eighteen Community Colleges for the State of Minnesota. She joined the Minneapolis Public Schools as the Associate Superintendent for Human Resources and Labor Relations and served as the School District’s Chief Negotiator for nine years. During her tenure in the Minneapolis Public Schools, Ms. Reed changed the nature of collective bargaining in the School District from adversarial to create a partnership with teachers using interest based bargaining to focus on improved student and school performance. Jointly the District and teachers’ union developed a new evaluation process for teachers, an accountability system for schools, professional development and new teacher induction process, and began the process for performance based pay. When called upon by the School Board, Ms. Reed served as Acting Superintendent during a period of crisis in the District. Ms. Reed took this experience to serve as Associate Superintendent for Administrative Services in the District of Columbia Public Schools and Associate Superintendent for Human Resources in the Dallas Public Schools. 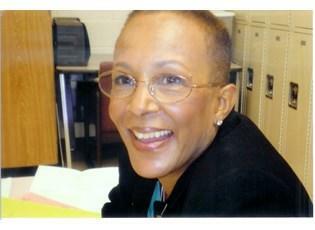 Ms Reed retired in 2001 but continues to serve as a consultant to urban school districts. She has served as Interim Associate Superintendent for Human Resources in the Detroit Public Schools and most recently served as Interim Associate Superintendent for Human Resources in the Kansas City Missouri Public Schools. She has also served on peer review teams for the Council of the Great City Schools and management reviews for the State of Florida in Miami-Dade Public Schools and, Sarasota Public Schools and the Volusia County Public Schools. Ms. Reed has served as President of the American Association of Schools Personnel Administrators and was the first recipient of the Human Resources and Directors Award for the Council of the Great City Schools.